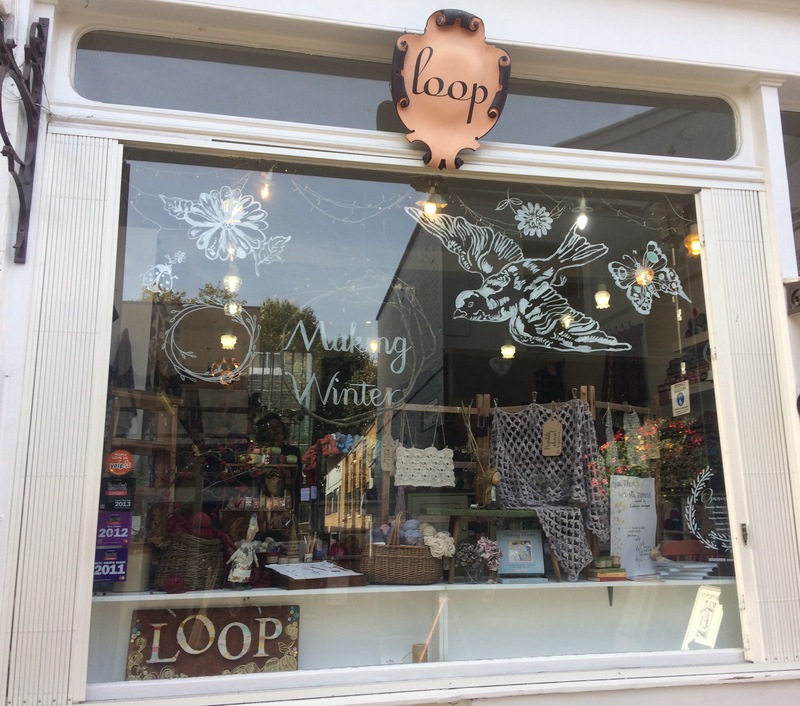 For my birthday my husband treated me with a visit to London including that very famous yarn shop in Islington, The Loop. I’ve read and heard so much about it …. it certainly did not disappoint! 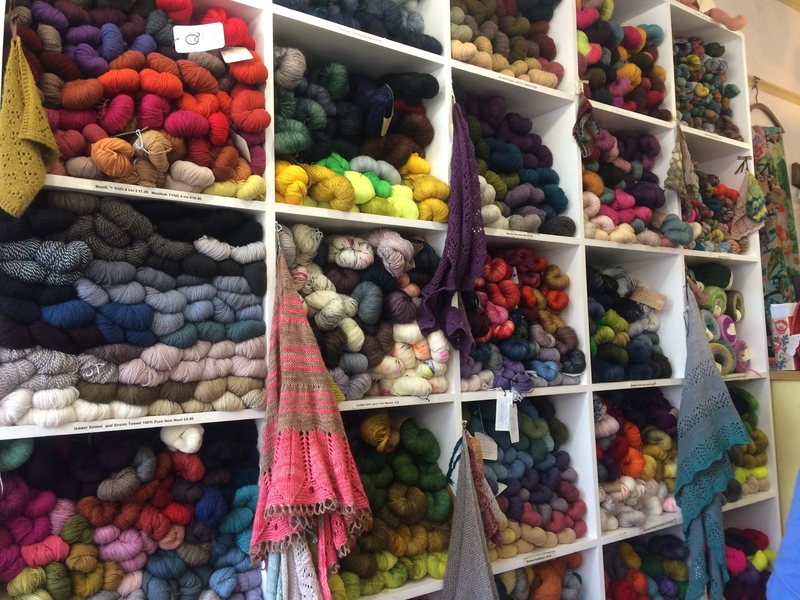 It was a fabulous experience, if only to see the amazing array of Woolly loveliness on offer …. 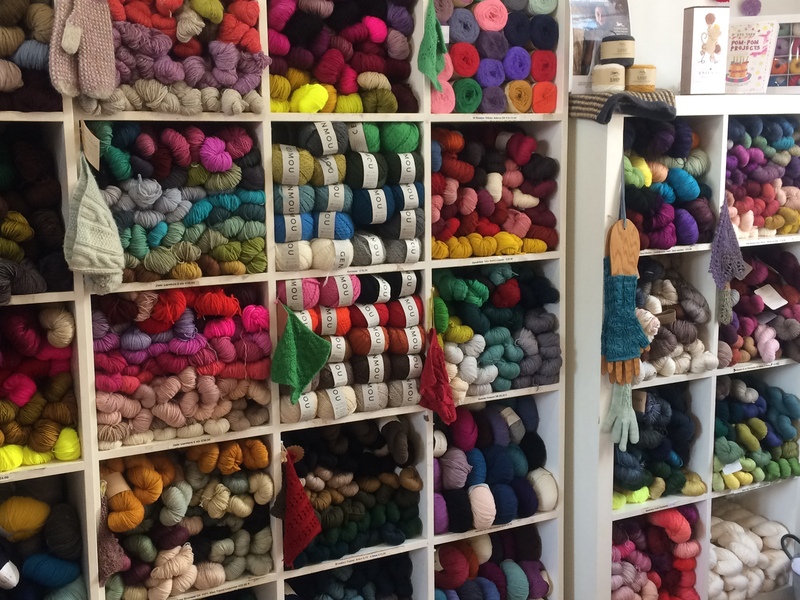 brilliant colours, walls full of yarn goodies which most of us can only dream about! Even the samples cry out to be touched! 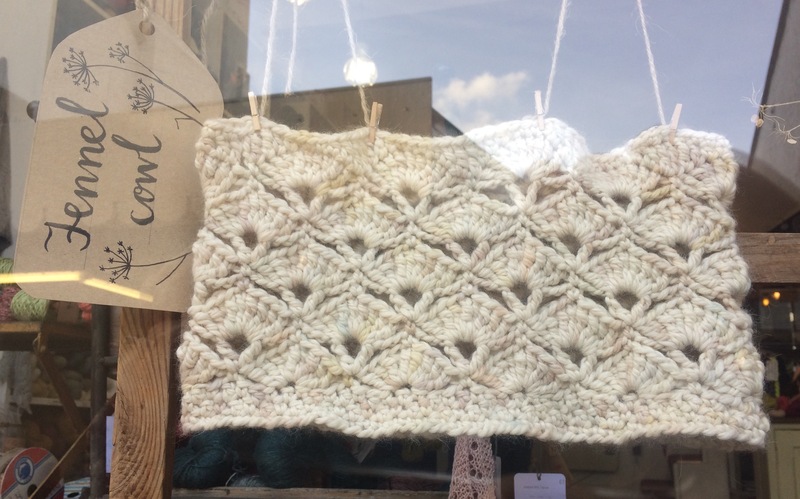 Sophie Digard is a name which I have always associated with crocheted beauty – I did not expect to see so many of her things in the shop. 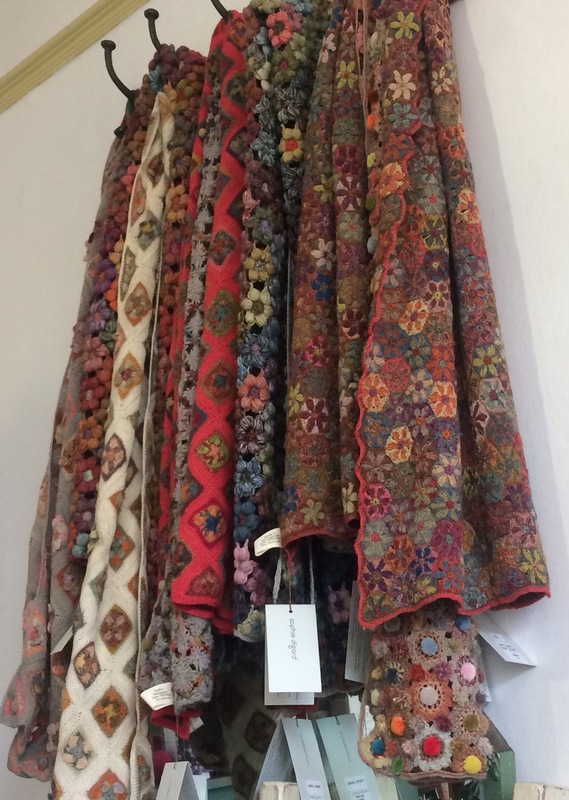 I’m sure we all recognise her subtle colourways from Pinterest – her designs and intensity of colour remind me of Kaffe Fassett’s patterns. 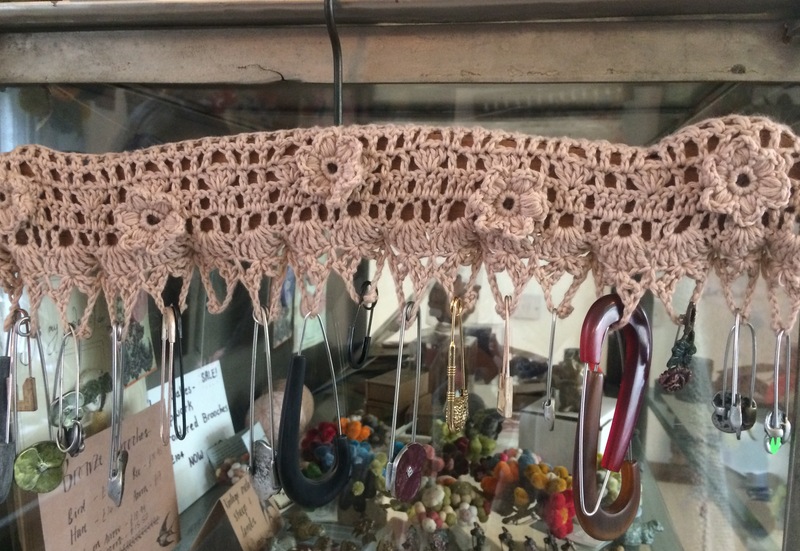 A few crocheted items caught my eye …. … making me wish I had more time to experiment and reminding me of textured samples which still need submitting for my IDC course. 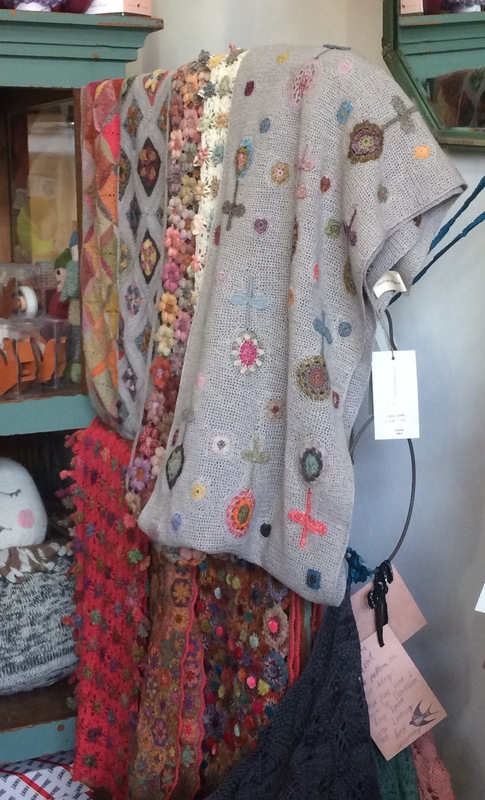 ….. just some of the possibilities. 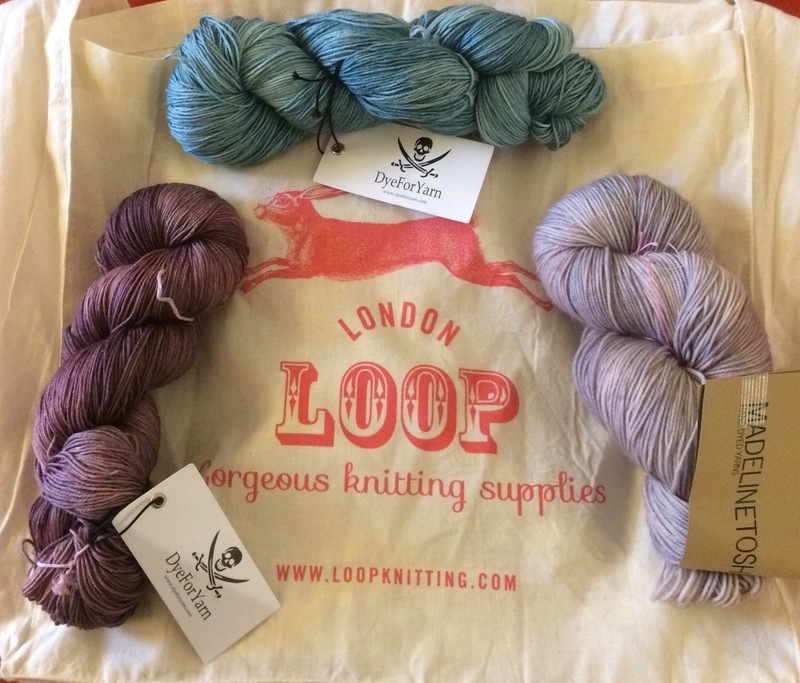 Really excited to get my hook out and start with these gorgeous, squishy yarns but I must be patient. 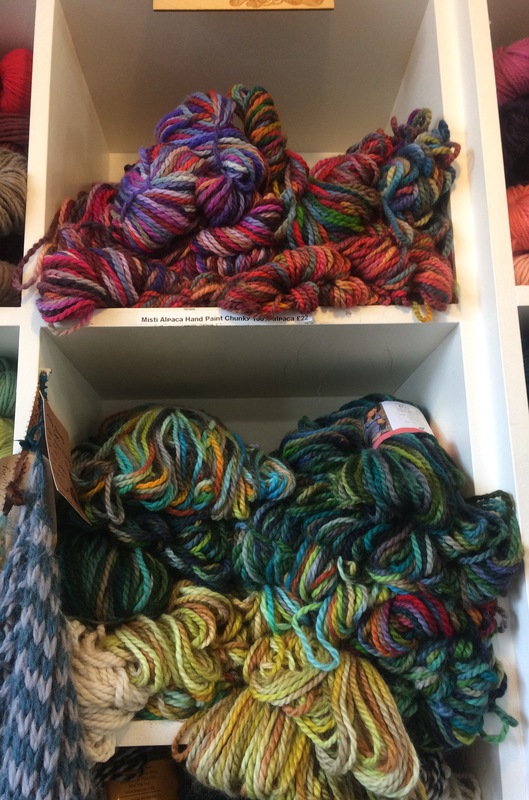 This was a very special present from my husband who appreciates my passion for yarn; I’m very lucky and can’t wait to start on one of the shawls in the New Year. For the moment, though Christmas gifts are top of the list – I expect they are on yours too.